Dash… why, yes, he IS that cool! Sorry, Jack… that cow’s gotta go! Solving some staging traffic jams. The terrifying Witch tells the unlucky couple about the curse. Putting the 1st half all together! ROKCincy performances begin in the Greater Cincinnati area! And away they go at Glen O. Swing!! AUTUMN WEST is a soprano originally from Chicago, Illinois. 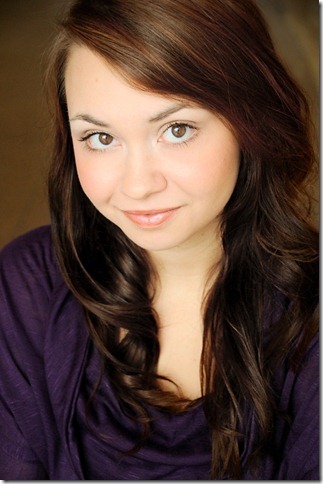 She recently completed her Master’s degree at CCM, and where she studied with Barbara Paver. She also holds a Bachelor’s degree from the Northwestern University Bienen School of Music, where she studied with Pamela Hinchman. Autumn has extensive experience in the realms of opera and oratorio, as well as recital repertoire. Highlights of her career include the role of Susanna in Le Nozze di Figaro and as the soprano soloist in Handel’s Messiah, Bach’s Magnificat, Schubert’s Mass in G, Vivaldi’s Gloria, among many others. Autumn has appeared internationally as an artist with the Opera Theater and Music Festival of Lucca, Italy, and with the Institute of European Studies in Vienna, Austria. Last Summer, Autumn was a Danis Wilson Apprentice Artist with the Sugar Creek Music Festival, where she performed in Mark Adamo’s Little Women and Donizetti’s La Fille du regiment.Autumn is also a passionate and committed music educator with experience teaching students of all ages. ESTHER KANG was born in Seoul, South Korea and grew up in Philadelphia, Pennsylvania. Esther graduated with a Master of Music from the University of Cincinnati-College Conservatory of Music where she studied with acclaimed baritone William McGraw as a full scholarship student. She received a Bachelor of Music in 2009 from Temple University, where she studied with tenor Philip Cho. Roles with CCM Opera include Micaela (La Tragedie de Carmen), Fiordiligi – cover (Cosi fan Tutte), Theodorine (L’ile de Tulipatan), and Mother Jeanne (Dialogues of the Carmelites). 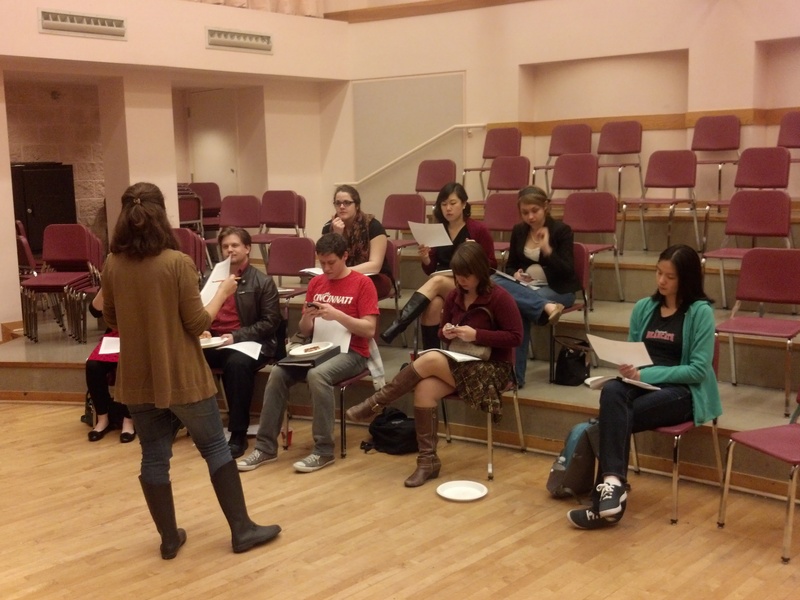 Mezzo soprano roles include Cherubino (Le Nozze di Figaro), Volupia (L’Egisto), and the Chinese Teacup (L’enfant et les sortileges) with Temple University Opera. This summer, Esther will be an Apprentice Artist with Ash Lawn Opera. In previous summers, Esther has been a performer with CCM Spoleto, CCM Summer Opera, the American Institute of Musical Studies, and a Studio Artist with Opera Saratoga. In the summer of 2012, Esther embarked on a recital tour with the harp and soprano chamber duo ORIGIN through five cities in Tennessee and Arkansas. ORIGIN made their professional debut in Cincinnati performing as a duo in the Christmas Saengerfest in December 2012. Ms. Kang is the Assistant Director of Development and a Teaching Artist with the COR Music Project and is the Director of Student Ministries and the Music Assistant at Northwest Community Church. 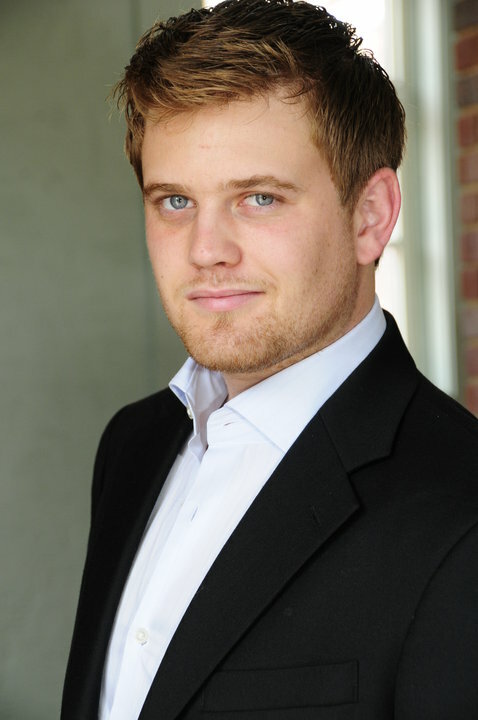 DASHIELL JOHN WATERBURY has been singing and acting in opera, musical theater and plays since a very young age. He began his stage career at the age of eight, in the role of Young Phantom in the musical Phantom. His opera career started shortly thereafter, when he was hired to play the role of the young boy Amahl in the Christmas opera Amahl and the Night Visitors. In 2005, he began his studies at the Cincinnati College-Conservatory of Music (CCM) at the University of Cincinnati. While there, he appeared as the evil Monostatos in The Magic Flute by Mozart, as Orpheus in Offenbach’s comic opera Orpheus in the Underworld, the stuttering Don Curzio in Mozart’s Le nozze di Figaro, and as The Rake in Stravinsky’s The Rake’s Progress.Appearances outside of opera include the role of the Phantom of the Opera in the musical Phantom, The Wolf in Into the Woods, The Old Actor in The Fantasticks!, Mercutio in Shakespeare’s Romeo and Juliet, Bottom in A Midsummer Night’s Dream, and the role of Austin in Sam Shepherd’s two-man show True West. On the opera stage, he has performed the role of Monostatos with the Crested Butte Music Festival and the role of the Commissario in Rossini’s comic opera Il Signor Bruscchino in Umbria, Italy. In 2012, he helped create the role of Luis in the boxing-themed opera Champion with Cincinnati Opera Fusion. JESS LAIRSON PICADO, born in Cincinnati, has performed in the Fringe Festival several times and in the Jarson Kaplan Theater in The Aronoff Center For Arts including the most memorable show Gypsy. She has a degree in Performance Art from KD Conservatory of Film and Dramatic Arts. Spending most of her career in Dallas she is most known for her performances in The Fiddler on the Roof and in Agnes of God. FOTINA NAUMENKO is a lyric coloratura soprano originally from Rochester, NY. She is an active performer of a wide variety of repertoire, including opera, art song and musical theater. Recent operatic performances have included Blonde in Mozart’s Abduction from the Seraglio (Delaware Valley Opera), Clorinda in Rossini’s La Cenerentola (CCM Opera), Yniold in Debussy’s Pelléas et Mélisande (Eastman), Madame Plume in Mozart’s Impresario (Eastman), the Novice in Puccini’s Suor Angelica (Eastman), Lulu in Kander and Ebb’s Cabaret (Eastman) as well as partial performances from The Medium, Cosi Fan Tutte, The Cunning Little Vixen, and Rodelinda. Fotina is a prize-winner of the Bel Canto Vocal Scholarship Foundation, an organization committed to “supporting outstanding young American opera singers”. Fotina completed her undergraduate studies at the Eastman School of Music in Rochester, NY, and earned her Master’s degree at the Cincinnati College-Conservatory of Music. 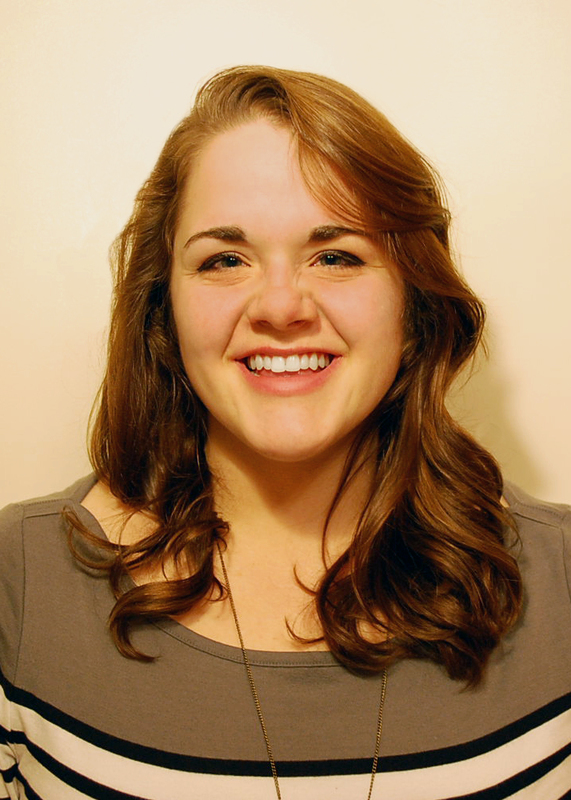 EMALEIGH DUNN is a first year student at the University of Cincinnati. She has been a part of community theatre and school productions in her hometown of Port Clinton, Ohio starting at a very early age. Her favorite rolls include “Eliza Doolittle” in My Fair Lady and “Audrey” in Little Shop of Horrors. She is currently a member of the Women’s Chorus and enrolled as an exploratory student with the intent of majoring in Fashion Design at UC. Emaleigh is extremely grateful to be a part of such a talented group of performers and to be a member of ROKCincy! KATHERINE KRUEGER recently earned a Master of Music from the University of Cincinnati College Conservatory of Music while studying with Kenneth Shaw. She holds a Bachelor of Music from the Peabody Conservatory of the Johns Hopkins University where she studied under Dr. Stanley Cornett. Ms. Krueger is actively involved with the North American New Opera Workshop and has performed the Co-Host in Jennifer Jolley’s Krispy Kremes and Butter Queens as well as Mary in Sarah Hersch’s Layover. In 2010, she was awarded the George Castelle Award for excellence in voice. Katherine was a chorus member during the 2012 season at Cincinnati Opera, performing in Verdi’s La Traviata and Leoncavallo’s Pagliacci. While at Peabody Conservatory, Katherine performed as the Second Knitter in Game of Chance by Seymour Barab and as Evie in the world premiere of Generations by Emily Koh for which Ms. Krueger also wrote the libretto. In 2009, Ms. Krueger participated in the Hawaii Performing Arts Festival where she had the opportunity to work with composer Ricky Ian Gordon in a master class of his works. Katherine has also sung master classes with Marni Nixon, Gidon Saks and Gary Wedow. Favorite roles include Proserpina in Monteverdi’s L’Orfeo, Sonia in Lehar’s The Merry Widow and Rosalinde in Strauss’s Die Fledermaus. In addition to performing Ms. Krueger is a librettist as well as stage director and maintains a studio of private voice students. 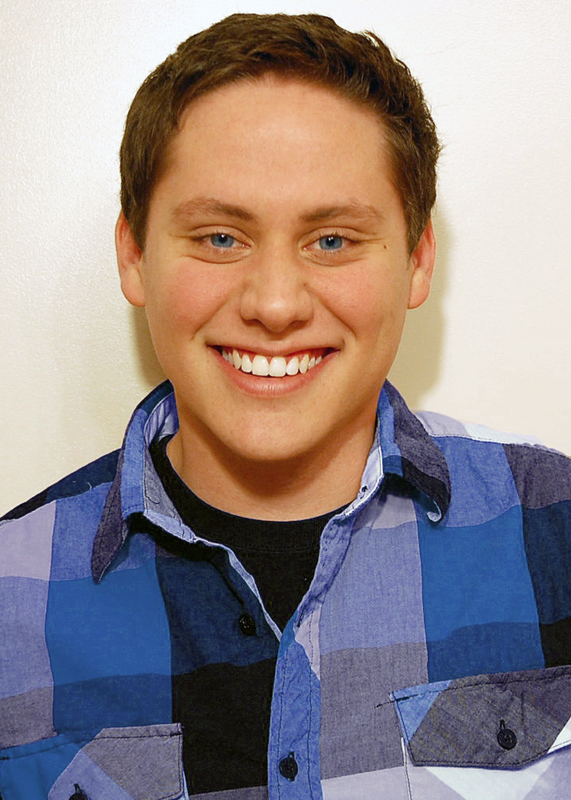 KEEGAN RILEY is a third year architecture major at the University of Cincinnati. From the small town of Lexington, Ohio, Mr. Riley has been involved in music for most of his life. Playing the trumpet and studying privately on French horn, he’s been part of many ensembles, bands, and orchestras both in school and out. It wasn’t until high school that he started singing when chosen for his breakout role as Gaston in a production of Beauty and the Beast, the Musical which prompted his acceptance into his high school choir and show choir. He hopes that he can bring both his voice and enthusiasm to this wonderful and talented cast of Into the Woods, Jr. for ROKCincy! HITOMI KOYAMA has won prizes in consecutive years at Dichler Competition held in Vienna, Austria and also has received Leni Fe Bland Music Awards. She has attended CCM Prague International Piano Institute, Wiener Musikseminar, International Sommer Akademie Tokushima, Mannes Beethoven Institute, and Eastern Music Festival. She has played in master classes with world renowned pianists such as Mitsuko Uchida and Robert Levin. As a recitalist and a chamber musician, she has appeared in venues are such as Corbett Auditorium, Werner Hall and Watson Hall in Cincinnati, Snyder Recital Hall at Ohio Northern University, the Lincoln Center, Spanish Institute, Steinway Hall, and Yamaha Salon in New York, Flickinger Center in New Mexico, Bösendorfer Hall, Liszt Hall, and Konzerthaus Wien in Austria, Jan Deyl Conservatory Concert Hall in Czech Republic, Murasaki Hall, Aimu Hall, and Amyu Tachikawa Hall in Japan. Koyama was born in Tokyo. At the age of 16, she moved to the United States. She received her Bachelor of Music at the Juilliard School in New York City. After completing her Masters degree at Mannes College of Music, she moved to Vienna, Austria to further pursue concert performing at University for Music and Performing Arts Vienna. Koyama retuned to the United States in 2009 and currently is pursuing her doctoral degree under the tutelage of Eugene Pridonoff at College-Conservatory of Music at University of Cincinnati. Her former teachers have included Martin Canin, Victor Rosenbaum, and Peter Efler. Koyama is also a passionate teacher and has been dedicated to teaching piano for over 10 years. She gave a master class at Ohio Northern University and currently is a piano faculty at CCM Preparatory Department.